I had the pleasure of meeting the Mefford family from Pataskala, OH when they welcomed their sweet baby girl; Hadley! She was the perfect little angel for her session and we captured some amazing images. This family lives so close to me! Less than 5 minutes! Hadley's family loved all the pink tones and setups for her session. Her dad brought a special prop to include in the session and I love the image we created. He wanted to include antlers because he loves to hunt! We shaped them like a heart and baby Hadley looked amazing posed with them. During their ordering and viewing session both grandmothers came and loved the images as well! It was a special time to offer so many memories for this family. I hope they love the beautiful album and all the prints they ordered. Thank you Mefford family for giving me the opportunity to capture Haldey's newborn memories for you! May you cherish them for years to come! 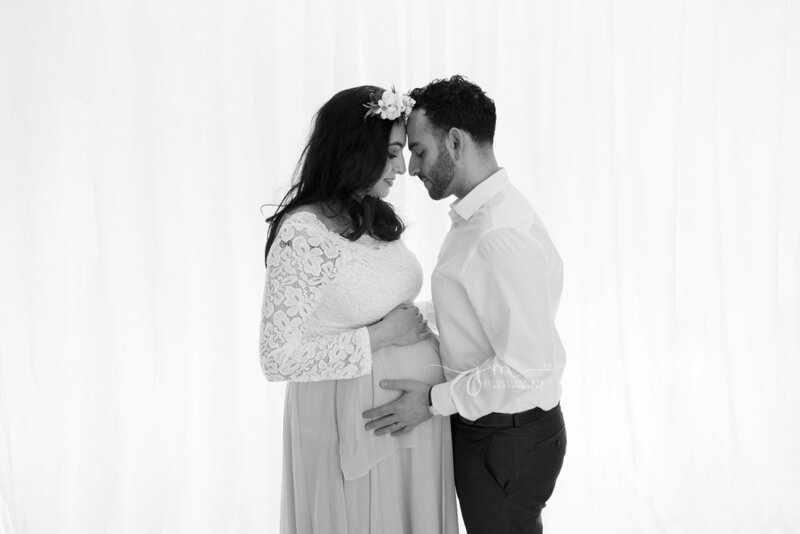 Aziza first contacted me about planning a maternity and newborn session for the baby boy they are soon expecting! I was happy we were able to get her session scheduled. She was almost 39 weeks for her maternity session and looked absolutely beautiful! 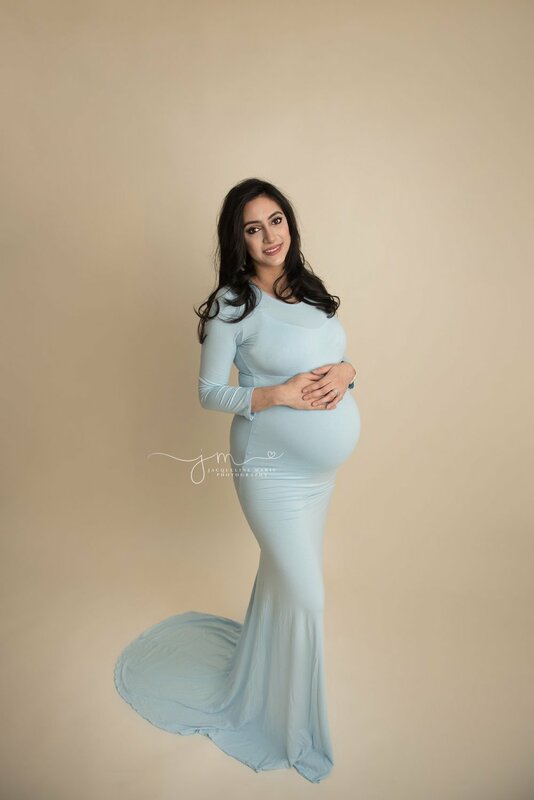 Aziza brought a beautiful baby blue dress for her session and also chose from my collection as well. She chose the white lace top, pink skirt and floral crown as well and both looked beautiful on her! For almost 39 weeks, this mama was glowing! I love the studio images we captured for and her husband to remember their pregnancy. I will share some of my favorites. I especially love the black and white image, as well as the image of her on the pink chair. I can't wait to meet their sweet baby boy in a few weeks for their newborn session. Thank you again Ghanem for choosing me to capture these memories for you! 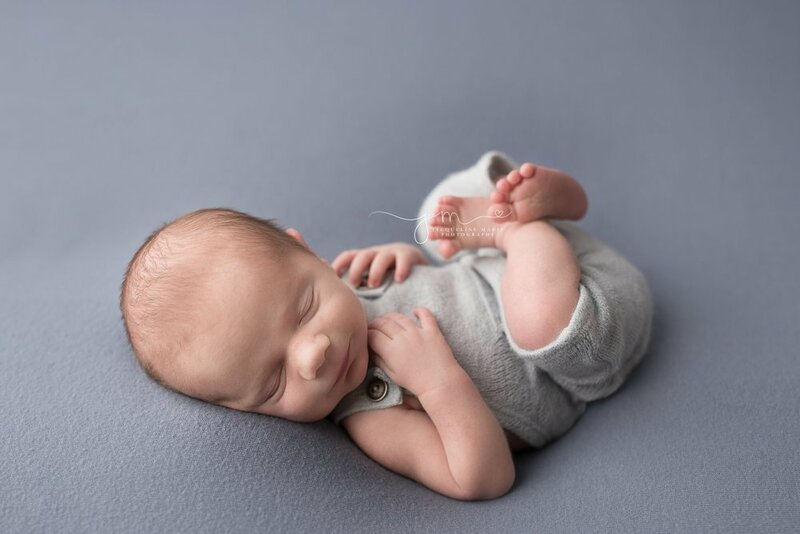 A few weeks ago I had the honor of meeting baby Finn for his newborn session. 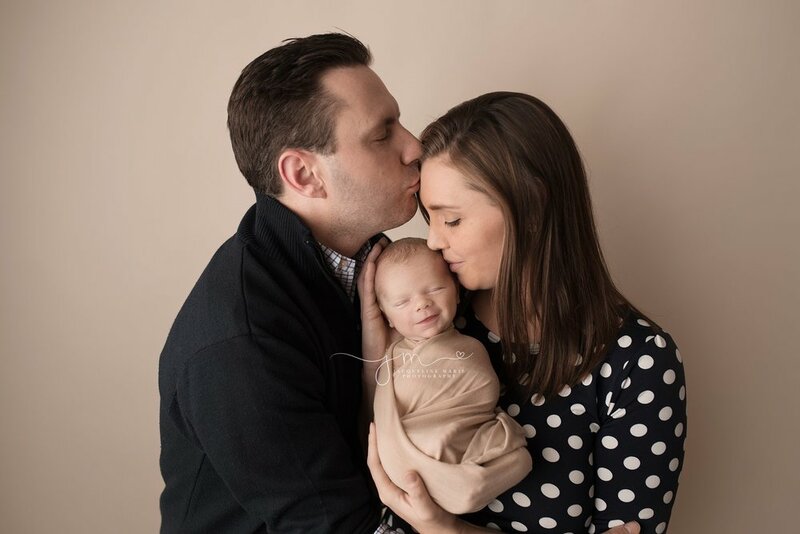 I was honored this family from Worthington, OH chose me to photograph their precious baby boy! 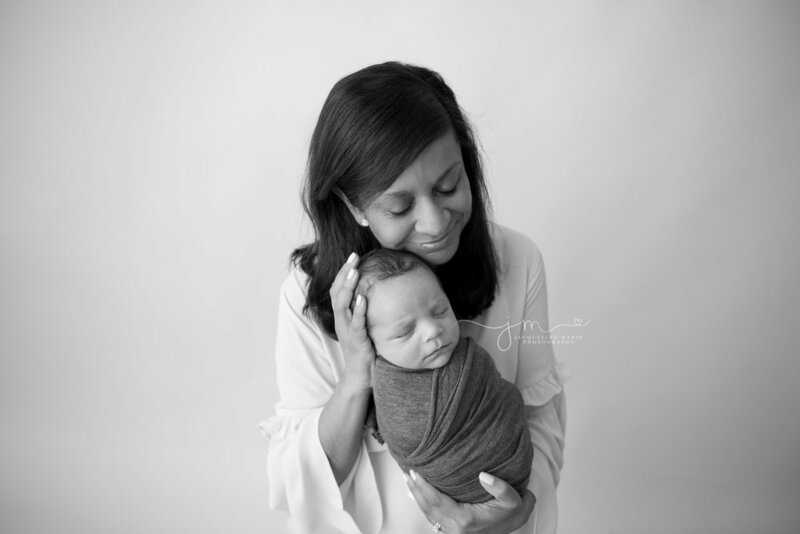 I typically do all my newborn sessions in the first 14 days of life. This is when they are most sleepy, and easiest to pose to create beautiful image galleries! One Saturday morning Finn's mother contacted me about a newborn session and said he was 3 weeks old. After chatting for a few minutes we found out I actually work with Finn's father at Nationwide Children's Hospital. Small world! Finn is so adorable and was one of the biggest babies I've ever photograph. This handsome boy was over 9 lb! He was awake for some of his session, but once I got him wrapped he loved it and slept for us. 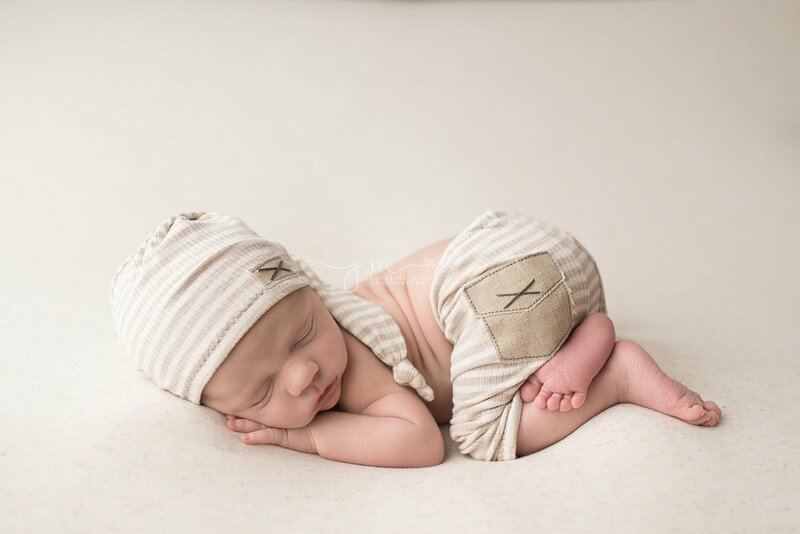 He did great being almost a month old for his newborn session. I love his gallery of images and I love all the prop poses we did. HIs mother actually chose my favorite image as a canvas to hang in their home. I will post it first. Congratulations again Deepa and Devin. 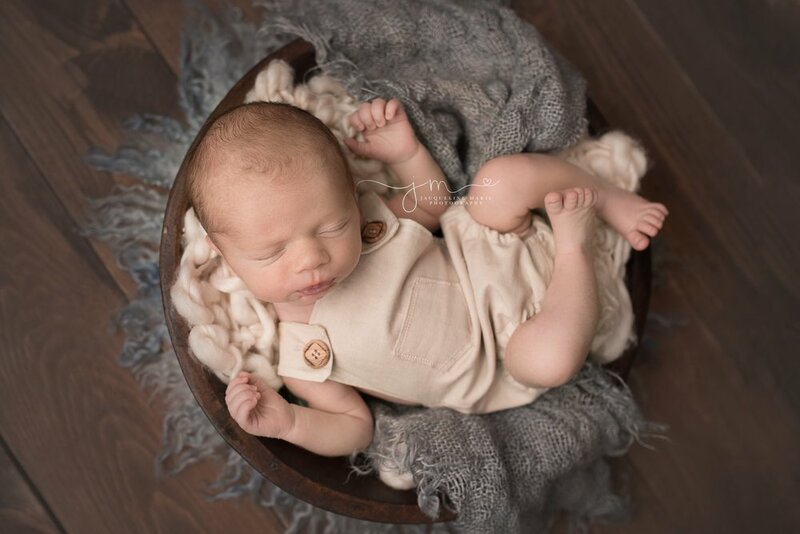 I hope these newborn images bring you many smiles and memories for years to come!! Thank you for choosing me as your newborn photographer.